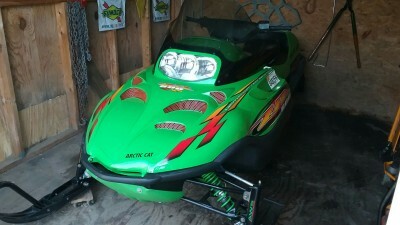 For Sale: 2000 Arctic Cat Snowmobile ZR 600 EFI. 1,300 miles, in mint, like new condition. Runs great!! Always stored inside and covered. Must Sell $2200.00.